There are 47 countries currently represented within Glencairn’s classroom walls where every day is an extraordinary celebration of cultural diversity. Each classroom supports the growth of linguistically and culturally diverse learners in English education in its own unique way. 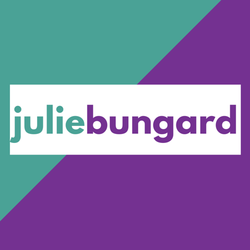 This month’s teacher spotlight highlights Julie Bungard, an outstanding Glencairn teacher that has gone above and beyond to bring technology into the ELL classroom as a means of integrating rich cultural content into teaching. Tell us a little about yourself? Name, building, program, years taught, etc. My name is Julie Bungard and I am currently working in the Glencairn Elementary building. This is my second year at Glencairn. During my first year in East Lansing I worked as a part time kindergarten teacher at Red Cedar and a part time ELL teacher at Glencairn (it was then a five/six grade building). After that first year, I became a full-time ELL teacher at Red Cedar. I have now been in the district for eight years. Tell us a little about the ELL technology used at your school? Two years ago, when I was working as the Title III coordinator for our district, I learned about a software program that was innovative, research based, individualized, and kid friendly. The name of the program is Imagine Learning (If interested, go to this web address: http://www.imaginelearning.com. The program is aimed to improve literacy for all students and is particularly useful for ELL students. After much investigation, I was able to use Title III funding to purchase licensing for our ELL students. Students can log-on to an iPad app and use this program in their individual classrooms to help them learn English. Teachers were beyond excited! They now have tools to help them with the English Language Learners while they are in the classroom. This program may be used on iPads, laptops, and desktops. How was this technology brought into the school? Title III is under the umbrella of Title I, but its funding is specific for Title III or English Language Learners (ELL). Under this government funded program, I was able to purchase for our district, licenses from Imagine Learning, iPads, and laptops to help with students in grades K-5. In the 6-12th grades, students are also using iPads and technology from this grant. What was the educational need that inspired this project? During our shift from classroom instruction to more explicit instruction - 90-minute reading blocks, intervention, and good fit work, ELL students, especially beginners, needed supplemental materials to help in the classroom. During ELL conferences, I asked other ELL teachers what they used in their schools to supplement ELL students in the classrooms and this program was often recommended. 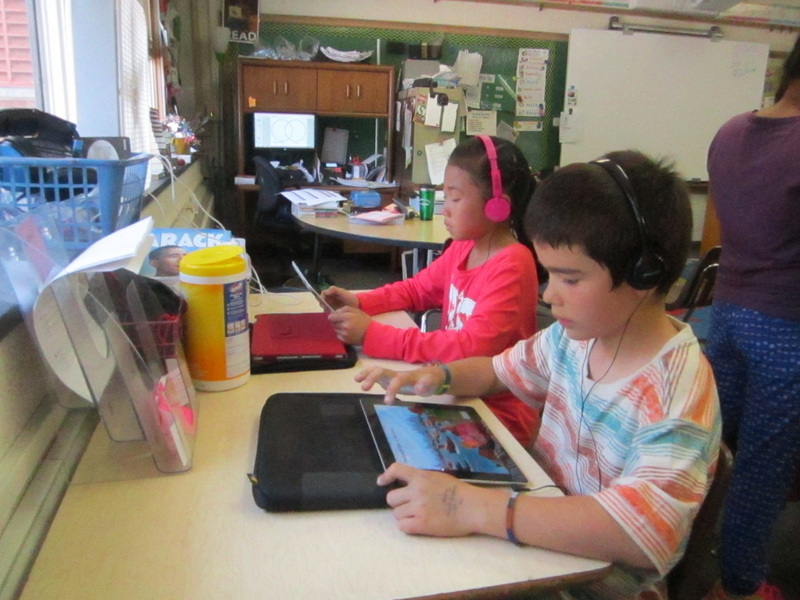 What made this technology (ELL iPads) a particularly good fit for your student population? Not only can ELL students use the iPads and programs in their classrooms, but teachers can access the program on-line by logging in and learning about the strengths and weaknesses of each student. How do you see the students using this technology in your building? 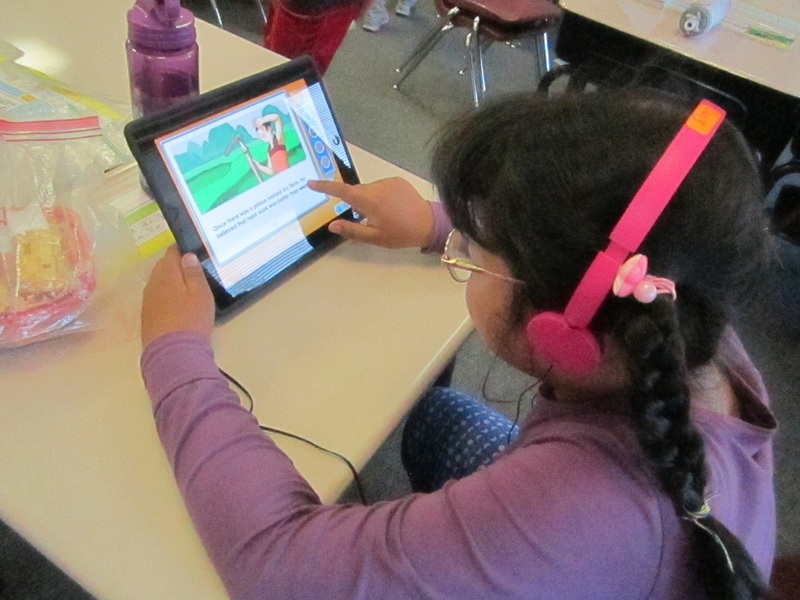 ELL students log in to Imagine Learning on a daily basis for 30 minutes a day. If the teacher is consistent, most students who have used the program more than twenty hours during the school year, grew at an accelerated rate. Students scored 20% higher than those who have not used the program. This program can also be used at home and this function will be better utilized next year as we grow and develop. How have the students responded to this technology? Most students absolutely love the program. Some want to use it all day long. It’s game-like structure allows students to progress at their own rate. What are some specific programs used on these devices and how do they benefit your student population? Not only can our students use these iPads for Imagine Learning, they can also use them for numerous iPad apps helpful for ELL students like: Kids A-Z, Bitsboard PRO, Endless Alphabet and Endless Reader, Little Story Creator, Word Hippo, Green Screen, Google Translate, Stack the States, Noodle Words, and many more. The Middle School and the High School are also utilizing this technology by using TumbleCloud (http://tumblebookcloud.com). For the elementary level, Tumblebooks is a program that you can get through the ISD for free, but TumbleCloud is not available for free from the ISD. This program is extremely vital for students in grades 6-12th grades. TumbleCloud is an online collection of ebooks, enhanced novels, graphic novels, videos and audio books, which offers students and adults of all reading levels access to an amazing range of content. 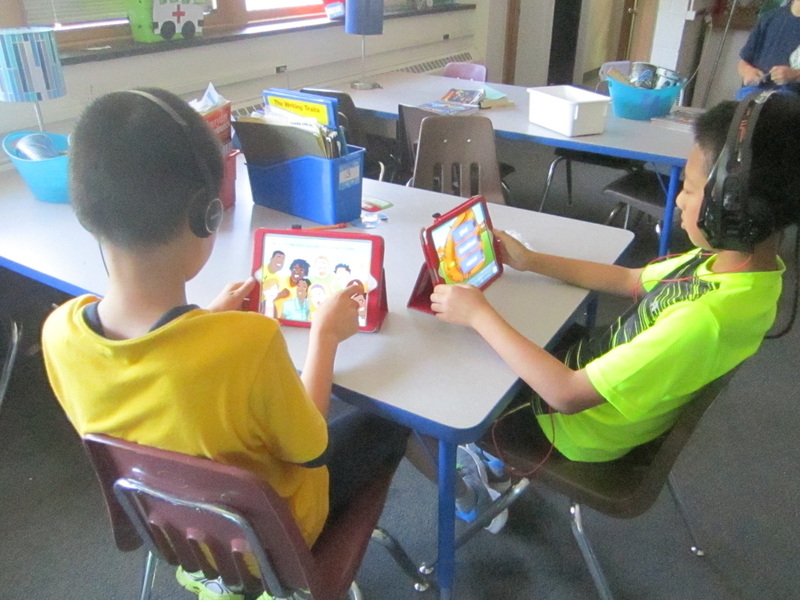 This means that ELL students who struggle with reading massive amounts of material can listen to a shorter version of the story and still get the gist of the book, using an iPad to do it. MacDonald Staff Computers: We are replacing the MMS staff computers this summer. Please be sure to back up any data files that you have on the desktop, remove CD’s from the drives, remove any personal hardware that might be connected, and ensure the workspace is cleared away enough for us to work. Retiree’s: All network accounts and the email account for those retiring will be deactivated on June 17th. Data files (the M drive) will be deleted over the summer. Room Changes: If you are moving to a new classroom or building, computers will stay in their original classroom. Should you need the furniture that's holding the computer, please contact Technology & Media Services to have the setup disconnected. Central Admin Computers: We are replacing the CA staff computers this summer. Those individuals are encouraged to identify a week that works best for everyone and coordinate the change with our office. We will work directly with CA to ensure data is backed up and moved to the new computers, etc. AV Bags: Kathy Kowalski emailed out info related to the classroom AV bags. Please look for that email. iPad Turn In: Kali Root emailed out info related to the turn in of district owned iPads. Also see the iPad Return Procedure of this newsletter. 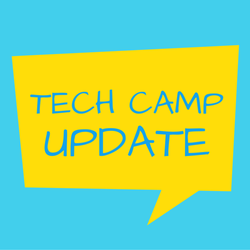 Tech Camp: Don’t forget to put the tech camp on your summer calendar. Sign up here if you plan to attend any of the 3 dates (July 18, 19 & 20). Technology & Media Services will be collecting all district owned iPads over the summer to migrate them into a new mobile device management system. All content, apps and settings that currently exist on the devices will be removed from managed devices once the existing mobile device management system is retired. The new system can only grant apps and settings to devices that are returned over the summer as some initial work must be done by hand. 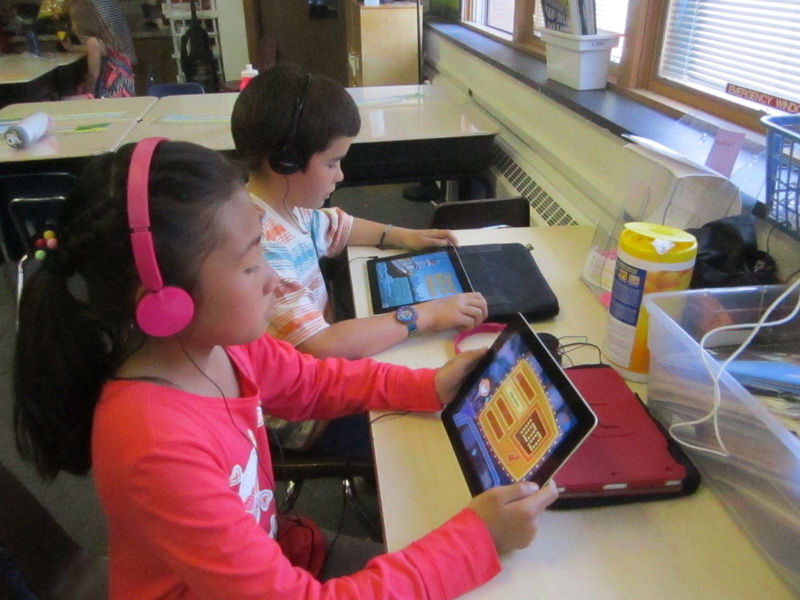 This includes classroom iPads purchased with building funds, grant funds (Donor’s Choose or other), fundraiser funds (parking lot or other), devices donated by parent councils or other, Title 1 & Title 3 iPads and all cart iPads. If a teacher manages a device on his or her own, the device does not need to be returned and may be kept over the summer using an equipment checkout form (attached) with the understanding that he or she will manage all apps and settings. Save all iPad content to your M: drive. The devices must be wiped when migrated into the new system. Fill out the attached form (one form per device). DO NOT return any accessories with devices. Keep your chargers. Fill out the attached Equipment Checkout Form. Submit the form to your building librarian. Please keep in mind that devices not returned will not be granted managed apps or settings. 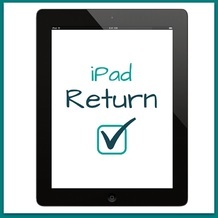 ALL Title iPads must be returned, per district administration. Please return iPads to your building library by the last day of school. All devices will be returned to classrooms during the last week of August. Teachers that wish to lesson plan on their devices over the summer may make individual arrangements. If you would like assistance or have any questions, please email Kali Root (kali.root@elps.us). Many of you have mentioned that you’d like to know what’s being offered before you sign up for this summer’s tech camp. Below is a small preview of what will be offered on July 18th, 19th & 20th. The camp is 3 days long (worth a total of 15 hours of optional DPPD) but you do not have to attend all 3 days. It’s open to all staff at no cost and you may always come and go as you please. The signup is important because it gives us a gauge of interest and allows us to properly plan for group size. If the topics below peak your attention and you plan on attending, please sign up here! If you aren’t sure at this time, you can always go to the East Lansing PD Weebly and sign up there as well. “EduPaths- Navigate Your Professional Growth” - Missing opportunities for professional learning? Want to sharpen your skills or learn anytime and anyplace? In this interactive session explore EduPaths. Completely free, EduPaths provides bite-sized, self paced professional learning. From Google and technology to instructional practices, EduPaths goal is to support your needs! “Obstacles of Technology” - Presentation covers some obstacles faced by educators regarding technology. It pursues a better understanding of obstacles mentioned and the way in which they can be addressed to ensure an effective, productive, and efficient use of technology. “CMS/LMS Creation on Weebly, Wix, Word Press” - This presentation will cover the balance needed between esthetics, functionality, and efficiency when creating a CMS/LMS. “BreakOut” - By using online clues teachers are able to set in motion some of the most powerful critical thinking students can achieve. Using a game premise, students are given a time period to breakout of a wooden box, using padlocks. Solve the clues to set yourself free. “3 Minute Brain Warm-ups” - A variety of warm-ups that help students be ready to learn. CDs with music can be copied, and there will be handouts with room for notes. Some of the time, the teachers will be watching a demo, but most of the time, they would be exploring the various moves of brain gym and how to get students motivated. “Don't Teeter Totter About Digital Portfolios: Use Seesaw!” - Are you interested in capturing student learning opportunities and outcomes with ease? 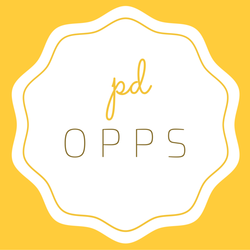 Trying to find a way to organize student portfolios that are quick, easy, and totally FREE? Join me for an interactive, engaging session about utilizing student driven digital portfolios through Seesaw. We will explore the various capabilities of the app/website, it's adaptability to all grade-levels K-5, and the ease at which you can support your students in documenting on-the-spot learning, assessments, and collecting other the digital projects in one place. Digital Portfolios allow teachers to create a window into their classrooms and provide students the chance to showcase their achievements and learning over time. 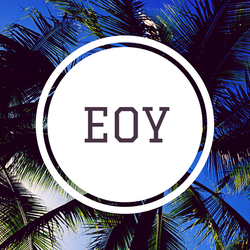 You'll be ready to "hit the ground running" come September and won't spend a second teetering about how or where to begin! “Digital Grammar: Instructing Students in Today’s Classroom” - Grammar instruction continues to be more important than ever when we look at the digital landscape our students belong to today. Experts Constance Weaver and Jeff Anderson offer us wonderful ways to infuse grammar into our everyday writing lessons and help us prepare our students with activities that strengthen our students writing. However, what is not considered is that our students today are digital. As educators we need to help them better understand what it means to write in a formal, academic sense, and in informal ways as well. Educators need to address how students write in digital spaces and stop blaming kids for their use of technology when in relation to “bad” grammar. We need to guide them to differentiate between the writing they do in their digital spaces and their non-digital spaces. This interactive session will give teachers and educators an opportunity to learn effective strategies using Google Slides along with social media, that can help students to differentiate between formal and informal writing while learning new grammar skills. “Elementary and Middle School STEM and Robotics” - See how students in my elementary technology classes have enjoyed STEM while using robotics and LEGO kits in engaging and exploratory lessons. Students have been immersed in their learning while using LEGOS with gears, pulleys, motors, axles, and sensors. Participants to this session will also be introduced to the BeeBot robot for K/1 students; the Kubi, which is a telepresence robot for home bound students; and Dash, one of the Wonder Workshop Robots. We will also share how our district has successfully purchased LEGO kits and robotics through grants and other sources, without district funds. In addition, participants will follow our journey of creating a 3D printed arm and hand for one of our students! “Making iPads and Chromebooks work in the K/1 classroom” - This session is designed for Kindergarten through 2nd grade teachers who would like help with iPads and Chromebooks in their early elementary classrooms. We will start with creating a daily routine with technology that you will LOVE! Then, we will move through the literacy block by creating QR codes for Read to Self, and finding adaptive software to give you the data you need to instruct your small groups. I will share my favorite tips and tricks to help you love iPads and Chromebooks in the classroom. 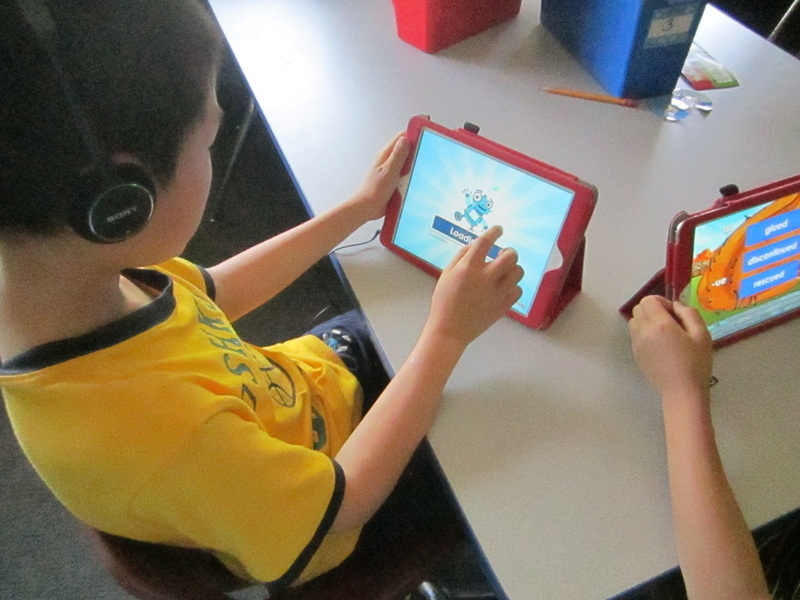 “Gamification in the classroom” - This is an introduction to gamification in the classroom. The presentation will focus on how to engage, inspire, and empower your students to not only want to come to class, but learn as well! A Breakoutedu experience will be provided. “Basic coding with SCRATCH” - SCRATCH is a free web-based program that can be used to teach students basic coding. Students just need a username and password to get started. 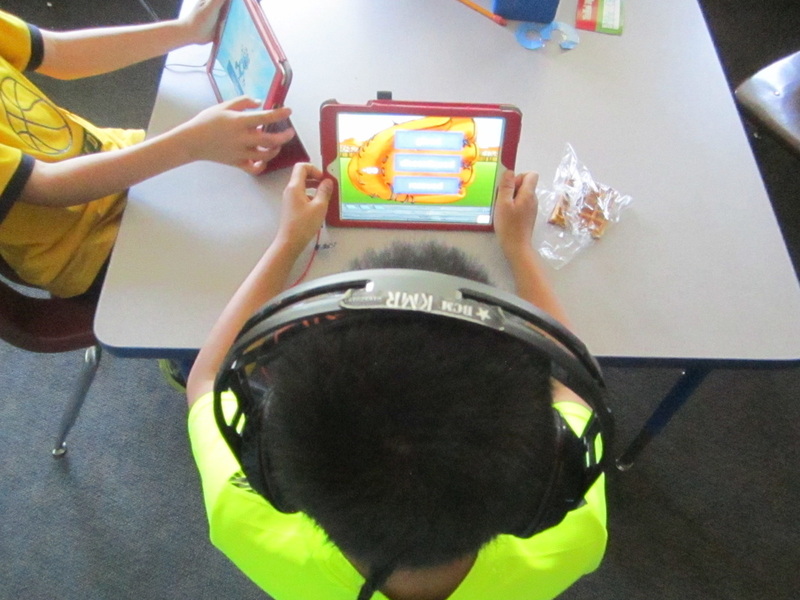 SCRATCH can be used to create animations, stories, games, and just about anything else a student can imagine. I currently use this program with my 8th grade students. Come to this session to learn the SCRATCH basics and leave with a variety of online tutorials to use with your students next school year. “Get Student Work Organized with Google Classroom” - Google Classroom is a great tool to use to assign student work and to organize Google Docs with your students. This session will teach you how to create a class in Google Classroom as well as to add announcements and assignments. You can add web links, attach files and add Google Docs to your announcements or assignments. Google Classroom organizes all of the documents that you share with your students in your Google Drive. In order to use Google Classroom, your school MUST use Google Apps for Education and you must have an account. If you would like to learn more, but do not have an account, there will be generic test accounts for you to try out. Please bring a device with Google Chrome installed. “Organizing your Gmail using Google Labs and Extensions” - Gmail is a great tool all on its own, but you can make it even more user-friendly by enabling different Google Labs and Extensions to your Gmail account. You can add a Google Calendar right onto your Gmail page and change the look of your Gmail page (a little). Add a lab that will allow you to “Undo send” for up to 30 seconds. You can even create some canned responses to add to your email because we all know that there are some emails that we have to send over and over again. Come learn how to add Google Labs and Extensions and you may even find some that you would like to add on your own. The staff at my school was so excited to learn about these labs and extensions and I think that you will be too! “Integrating Britannica School (free eResource) into the Curriculum” - Britannica is not just an encyclopedia!! With the world of the internet, Britannica School has evolved into a valuable online K-12 resource for students across the curriculum and is a must in every classroom. During this extended, hands-on session, participants will learn how to access Britannica School, which is free access provided by the Michigan eLibrary. In addition to the traditional encyclopedia articles, features include magazine and periodical articles, photographs, videos, illustrations, maps, flags, lesson plans, and curriculum supplements. Learn how to create and share Resource Packs, compare countries, tour the U.S.A., find biographies, and search content by curriculum standard and grade level. And if that wasn’t enough, learn how to use the following features: leveled reading, listening, citation, dictionary, and translation. Be sure to bring a device and any unit or lesson plans so you can leave the session with this great resource incorporated into your curriculum! 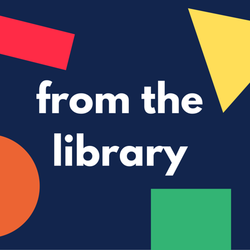 “Using MeL for Test Prep” - Did you know…The Michigan eLibrary (MeL) provides subscription database resources free to all residents of Michigan? One of the great K-12 resources in MeL includes the test prep database LearningExpress Library. During this extended hands-on session, participants will learn how to access and use this great resource. In particular, we will explore the School Center, which provides tutorials, practice tests and eBooks related to improving math, reading comprehension, writing and grammar, social studies, vocabulary and spelling, as well as logic and reasoning. We will also explore other Centers that contain practice tests including four new complete 2016 SAT tests, ACT, WorkKeys, ASVAB, AP exams and career certification exams. Be sure to bring a device so you can explore this great resource and learn how to integrate it into your curriculum. “Make STEAM” - Wondering what all this hubbub is about MakerSpaces and STEAM? Interested in starting your own MakerSpace or developing some STEAM activities? Questioning just what your students will gain from a MakerSpace and STEAM? Pondering over where to get materials and funding? Overwhelmed with what to get? Concerned about all the logistics? During this hands-on session we will answer all these questions and get you on your way to Making STEAM. “Doing More with Desmos” - Desmos is quickly becoming the finest secondary math learning software available. It’s useful for enrichment of faster learners, support of struggling learners, or as an integral part of the core curriculum. It’s free to use and easy to access, but comes with a certain learning curve. Be prepared to start at the beginning and arrive at the finer points of this outstanding math application. “Jeopardy for the Classroom: Make Assessment Fun” - I will give participants a Jeopardy template for the smart board and show them how to modify it for their content. “Getting Started With Illuminate Ed” - For teachers who have Illuminate Ed accounts and would like to know more about how it can help them make their lives easier, this workshop shows the basics of covers configuring the Dashboard, useful Pre-built Reports, creating assessments, GradeCam and entering scores. A resource guide that walks through everything shown from the presentation will also be provided. “Using Technology to Teach Vocabulary” - This session would first show teachers how to use quizlet, Kahoot, Spelling City, and other online sites to engage students in vocabulary work. Each of these sites has different strengths. Students need a variety of ways to learn and using one site all year gets boring for the kids. Having different sites, strategies and assessments can help classroom teachers get kids engaged in learning their vocabulary words. “Stop.......Motion Time!” - Find out how the free Stop Motion app will get you to "move outta your seat" and create animation in ANY subject area. Participants will create a movie and leave with ideas to use in your own classroom. “Classcraft” - This classroom management tool has enhance my classroom management in an engaging way that teaches the students the benefits of teamwork. “Quizlet and Quizletlive” - Quizlet has been a great study tool for my students. With the addition of quizletlive, my students quiz scores have soared! The students love it! 100% engagement 100% of the time! “Appy Hour” - An interactive workshop will give attendees the chance to play with several apps and web tools to enhance student engagement and mastery. Clutter, a feature that automatically sorts email based on what it considers to be “junk-like” email based on your activity, is an imposed feature meaning it was forced down by Microsoft automatically without our request. 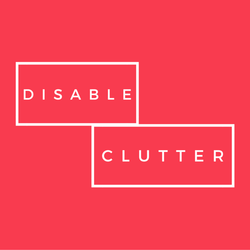 By design, only end-users can enable or disable Clutter in Mail options. 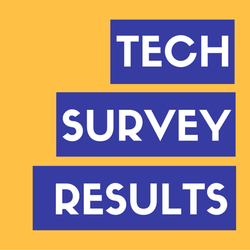 To everyone that took time to respond to our survey, thank you. Your feedback helps us better direct (or redirect) our efforts to ensure that we are supporting your classroom and your instruction. We noticed a few trends in the 58 responses and I wanted to share them with everyone and respond. More iPads for the elementary. Several asked about classroom sets of 5 and that would cost $166,260.00 to cover the approximate 68 elementary sections. Sustainability, support, security, and charging all then become a big conversation. More mobile learning. We’re working on this right now and have been piloting Apple TV’s and another wireless technology that would enable a laptop to connect to the projector. We hope to have something available for those interested by the fall. The interactive pens are problematic, the projected screen is small. The pens do function but we appreciate that this is a matter of personal preference. The screen is smaller because of aspect ratio. When the industry went wide screen we had little option but to follow. If students in the back have problems seeing the screen, the software can zoom in and out and increase the projected image. Flashing whiteboard/screen cuts out periodically. We’ve been troubleshooting this since it was first reported and Jason recently tracked it down to a firmware issue. If you are having this problem, submit a work order but we’re hoping to push out the firmware update and see if the problem is resolved. Document cameras. We have Epson’s at the secondary level and Aver Medias at the elementary. We asked specifically about them but the responses were 50/50. Some like them, some don’t. We’ll continue to track this issue and respond if the ‘dislike’ rises. If you have a problem with any of the technology, please submit a work order. Let us know so we can try to help. Additional training. We offer a significant amount of voluntary tech training throughout the year and we offer the summer Tech Camp. The mandatory 15 hours is shared with numerous other topics that hold greater precedence. We’d love to have a room full of teachers attending our training sessions. Gyms lack tech. Working on this since last year. Please remember: if you don’t know how, ask us. If you want something special in your room, ELEF offers grants as does MACUL and Donors Choose. If the need is consistent and widespread, then I’ll add it to the project list and attack it. Thanks to everyone for a wonderful 2106 school year, and for letting us be a part of your lives through books and technology. On behalf of the Technology & Media Services Department, we would like to remind you the AV toolkits are due to your librarian by end of year, in the barcoded bags you received. In addition, Technology & Media Services will be collecting all district owned iPads over the summer to migrate them into a new mobile device management system. These must also be turned in to the building libraries by year end. The new mobile management system will only push apps and settings to devices that are returned over the summer. Examples include: classroom iPads purchased with building funds, grant funds (Donor’s Choose or other), fundraiser funds (parking lot or other), devices donated by parent councils or other, Title 1 & Title 3 iPads and all cart iPads. If you manage your iPads personally, there will be an equipment checkout form available in lieu of returning your device. 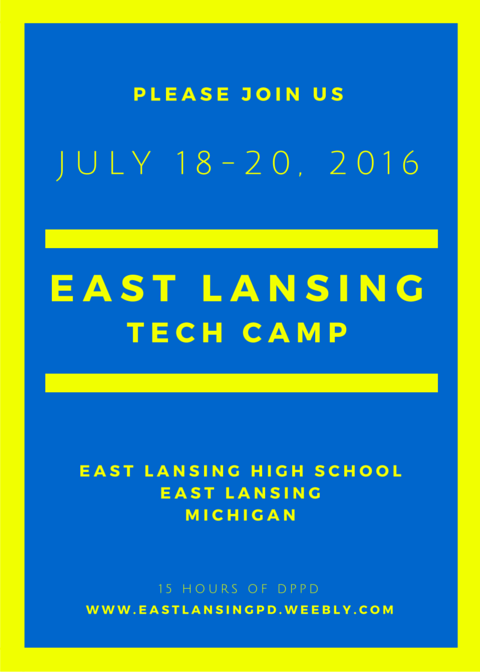 Click here for East Lansing Tech Camp info & sign-up. Elementary educators who attend this two-day, free workshop will be guided by the instructors to understand and identify how blended learning can be used to personalize learning in the K-5 environment. Over the two days, the participants will be introduced to the benefits of blending learning at the elementary level, try out a variety of digital tools, enhance a unit they are already teaching by blending digital tools with face-to-face instruction, create a digital assessment and more.